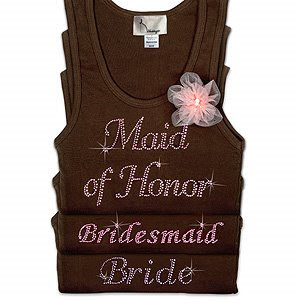 Bridesmaids Tanktops - Sonal J. Shah Event Consultants, LLC. You know I love to write about giving things to the bridal party. I also love all things sparkle! I found this great tank top that one of my bride’s is giving to her bridesmaids. I LOVE THE FLOWER BROOCH!! It was so adorable that I had to write about it.